I’ve mentioned in previous posts that I am an incurable beachcomber. Recently, part of my shell collection has become a project for Halloween. 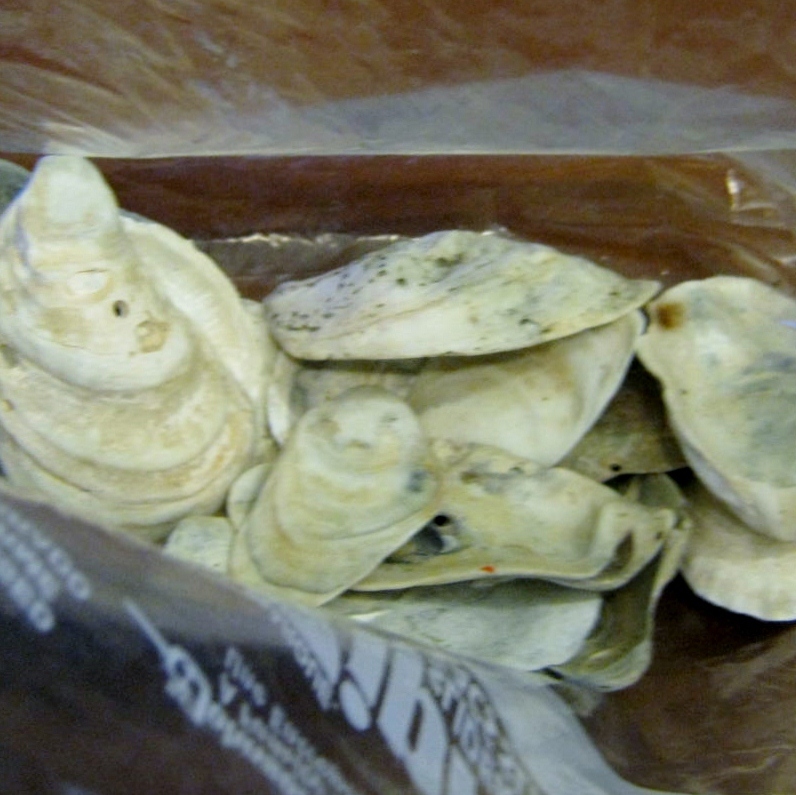 I’ve seen oyster shells fashioned into Santa Claus ornaments with a bit of paint, and I imagined turning my shells into Jack O’ Lanterns. 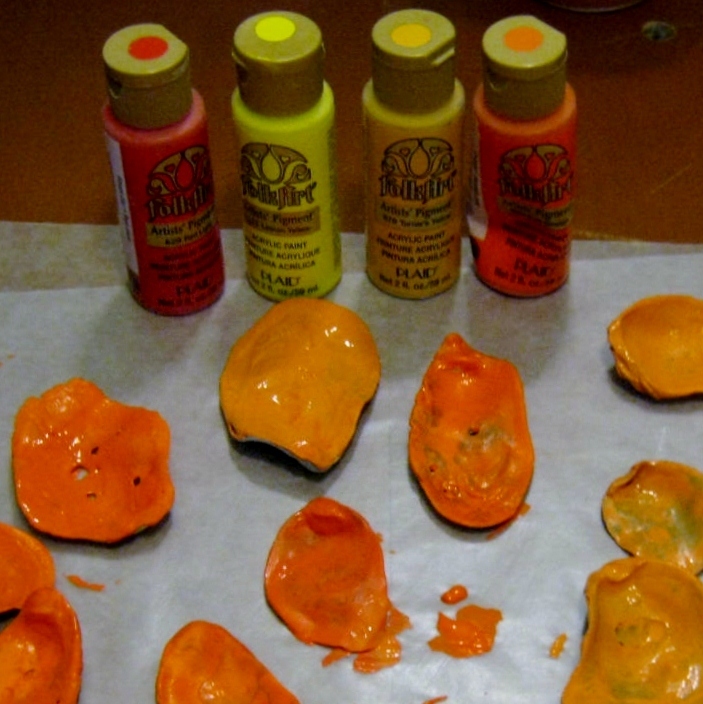 The shells are oblong and oval, much like a real pumpkin. 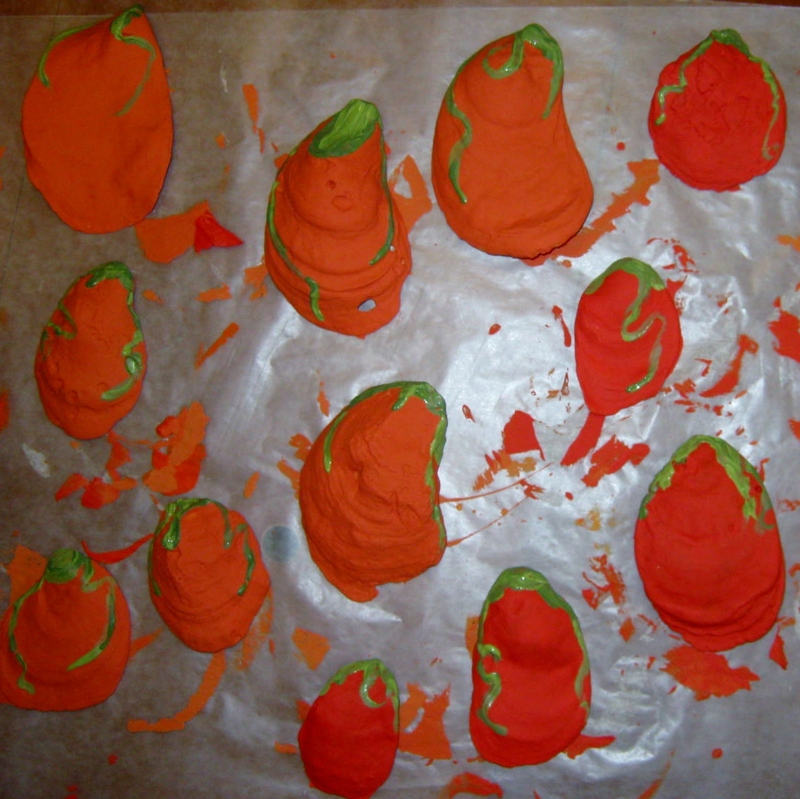 They have a bumpy, lumpy, wavy surface, another commonality with a pumpkin. I broke out my Folkart acrylic paints and a brush and began to paint my shells. I needed two coats of the paint, front and back. 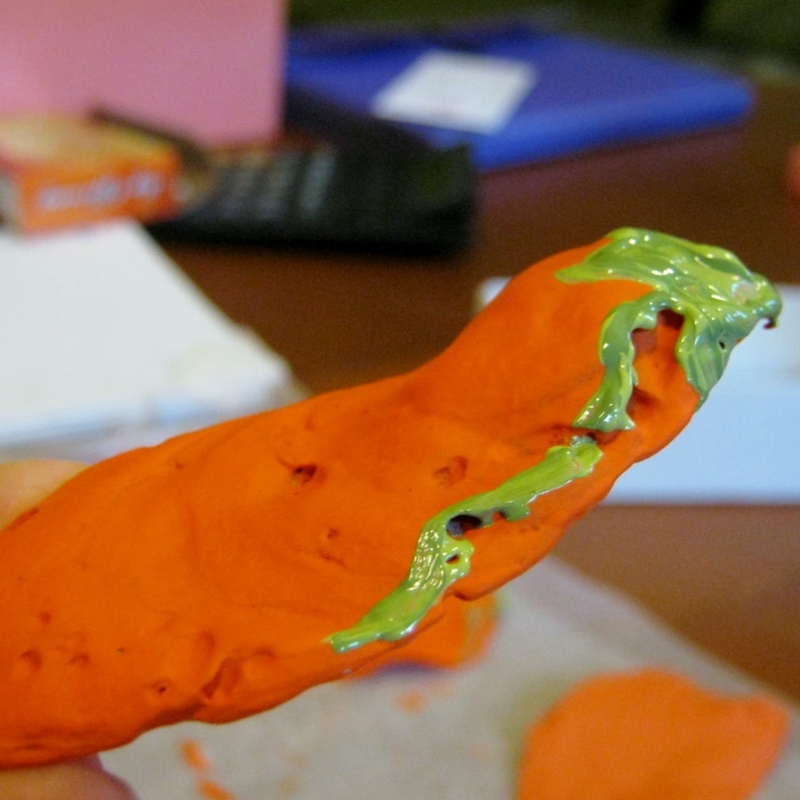 After the orange paints were completely dry, I mixed two greens together on the same brush and painted a stem and some twirly vines down the side. I followed the curves and indentations in the shell to give the oyster Jack O’ Lantern a more natural look. 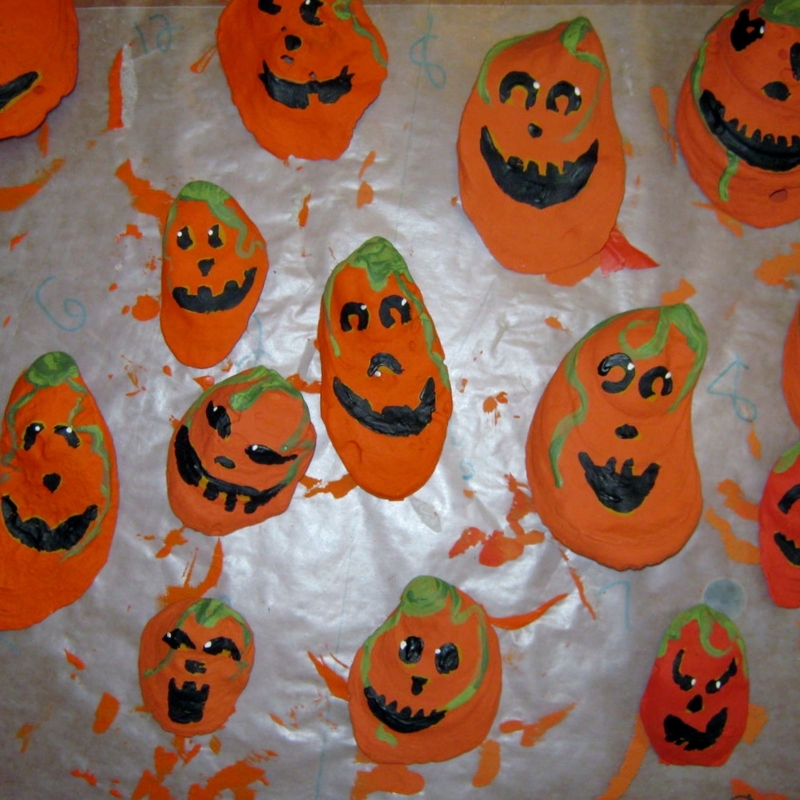 Here’s a photograph showing several of the pumpkins with stems and vines painted on. I painted black eyes on one, and realized they looked flat and had no depth. 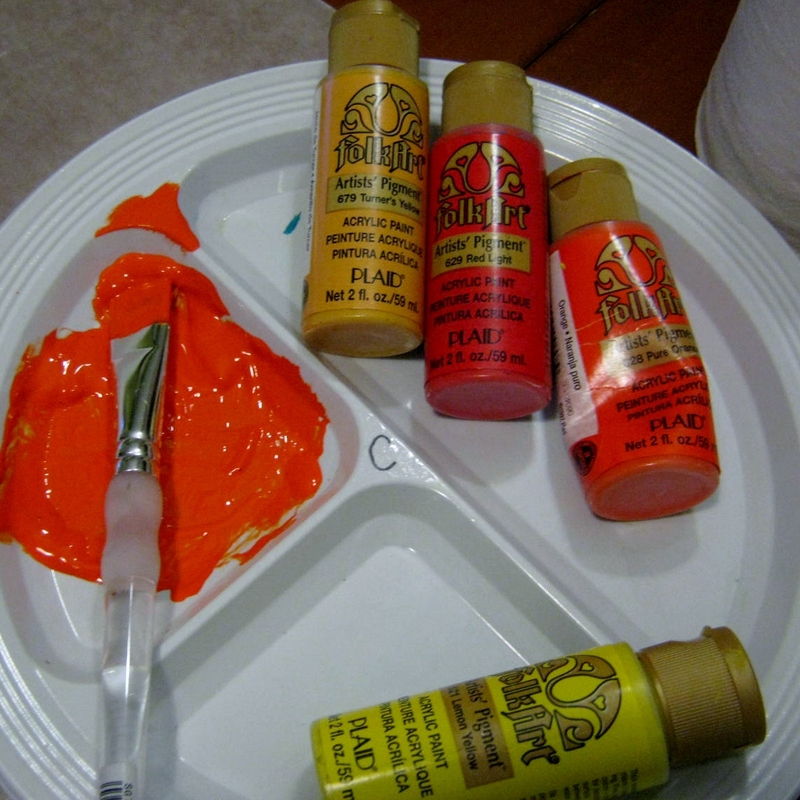 To give the illusion of carving, I painted a raw sienna paint in the face pattern first. 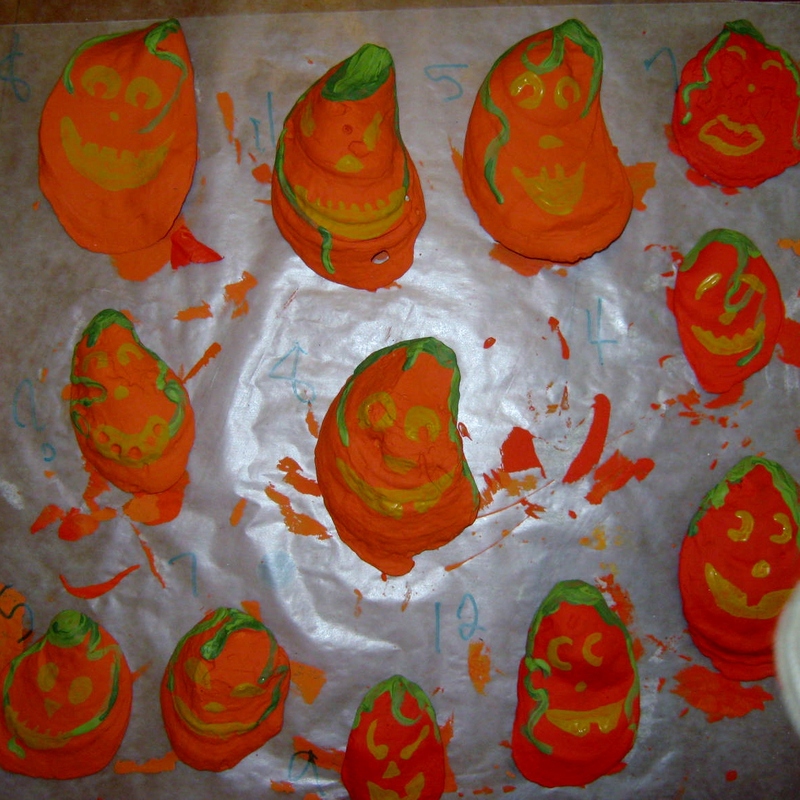 This gave an illusion of the inner color of the pumpkins. 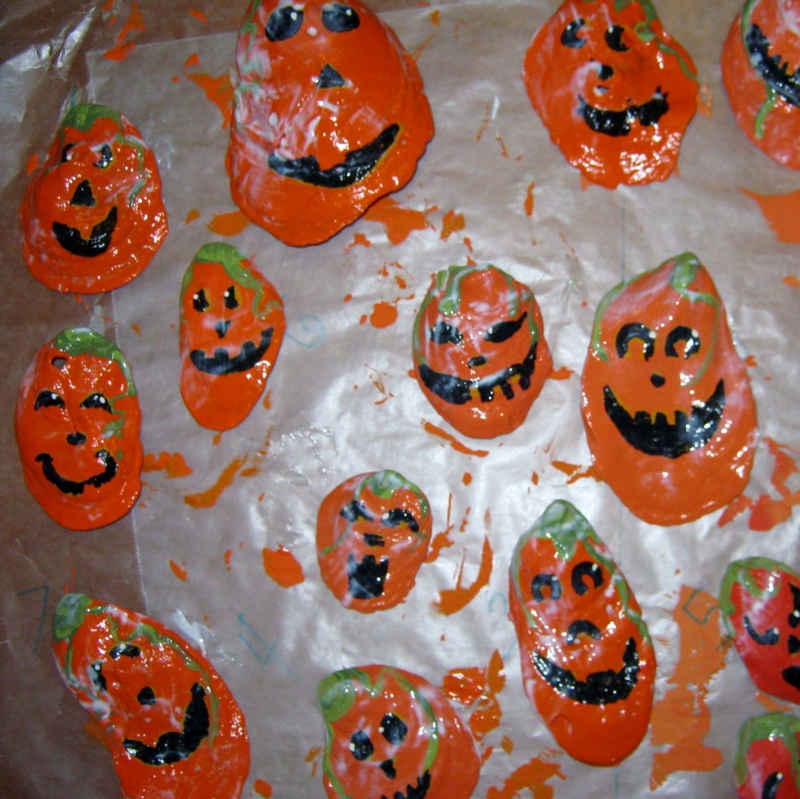 I wanted to have happy faces, rather than scary or spooky. I added the black paint, being very careful to leave a bit of the raw sienna showing for the depth I wanted. The last touch was a white highlight on each Jack or Jill’s eyes. The next step was a coat of glossy mod podge. Part II will be tomorrow’s post. Check back for the finished Jack O’ Lantern Halloween tree. KATHY. yOU ARE so clever.